Biotech scientists take note: Ruja Benjamin challenges your ethics. You may have unconscious racial bias. Benjamin, author of “People’s Science: Bodies and Rights on the Stem Cell Frontier,” will speak on “What Kind of Future Are We Designing?” at noon on Tuesday, May 12, at the Princeton Public Library. 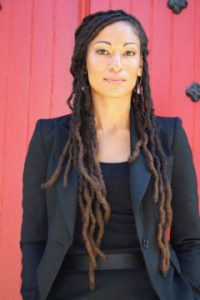 On the faculty of Princeton University in the Center for African American Studies, she is a faculty associate in the Program on the History of Science, the Center for Health and Wellbeing, and the Program in Global Health and Health Policy. Here is her TED talk about why scientists and clinical trial directors must actively seek the input of those who might be harmed by new biotechnology. Her sharp wit gets, perhaps, too close to the truth for comfort. (this post originated at Not in Our Town Princeton).